Some interesting additions from Instagram this week. First off, the platform has added some new Super Zoom variants, providing additional ways to use the option in your Stories. As you can see, now, when you use the Super Zoom option in the Stories camera, there's a new range of variations for the zoom, each of which provides a different effect. When the option was initially launched last October, the only zoom tool was the 'dramatic close-up'. Since then, several variants have been tested at different stages, but this is the first time Instagram has listed a broad collection of them in the app. There's certainly a lot of creative potential here, with a huge set of options to consider. Used well, they can add an interesting, engaging element to your Stories, with little extra effort on your part. Worth trying out in your brand Stories. In addition to this, Instagram's also making it easier to add emojis to your comments, by providing a new emoji selector right above your comment composer prompt. 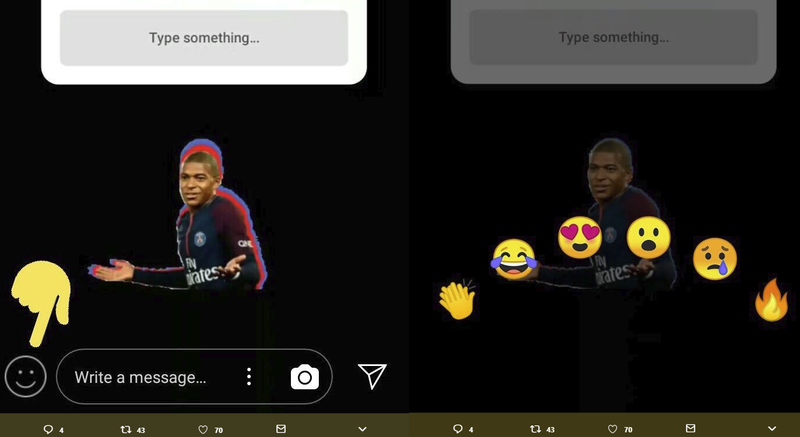 Recent screenshots show Instagram has been testing a similar option within Instagram Stories, which likely underlines the popularity of emojis on the platform, given that Instagram's looking for ways to better facilitate their use. The option's also similar to Facebook's Reactions, giving users a quick, easy way to respond without typing out the words. That's likely geared towards better facilitating quick response via mobile, while the addition of new options like this could actually help Facebook grow Reactions use, with the tool becoming a more habitual, instinctive response. Both are relatively minor additions in the broader scheme, but it's interesting to note the various creative options, and to consider the usage patterns which have lead to Instagram adding such tools. The new Super Zoom variants and emoji options in comments are available in the latest version of the app.